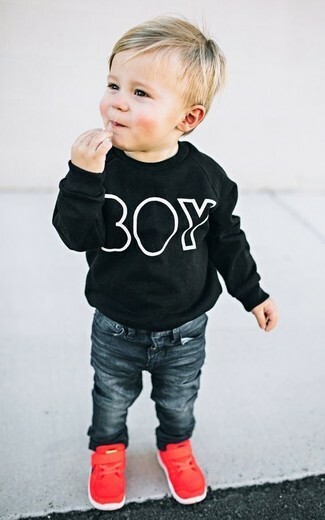 Opt for your son's comfort with this combo of a black long sleeve t-shirt and charcoal sweatpants. This getup is complemented perfectly with Stride Rite infant boys made2play phibian spiderman sneaker from Nordstrom. Suggest that your child dress in a black sweater and black jeans for a fun day out at the playground. 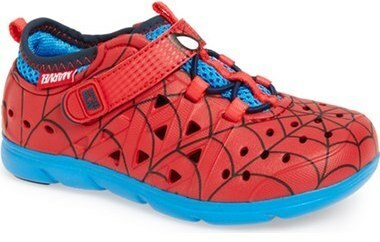 Stride Rite infant boys made2play phibian spiderman sneaker are a wonderful choice to complement this look. 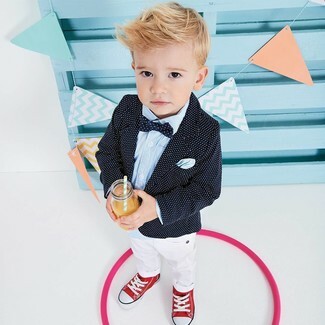 Suggest that your little one team a black polka dot blazer with white trousers to help him look like a true little gent. 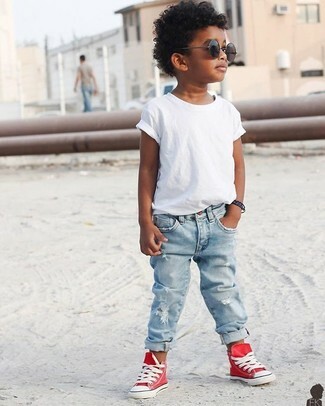 As far as footwear is concerned, suggest that your little man go for a pair of red sneakers. Suggest that your darling pair a grey sweater with blue jeans for a comfy outfit. Stride Rite infant boys made2play phibian spiderman sneaker from Nordstrom are a smart choice to complement this outfit. 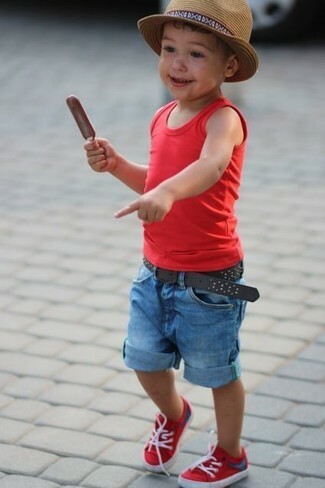 Go for a red tank top and blue denim shorts for your son for a fun day out at the playground. 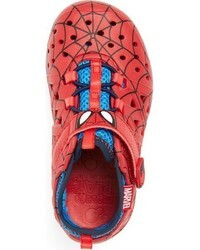 Stride Rite infant boys made2play phibian spiderman sneaker from Nordstrom are a wonderful choice to complement this style. Suggest that your darling reach for a white t-shirt and light blue jeans for a fun day in the park. 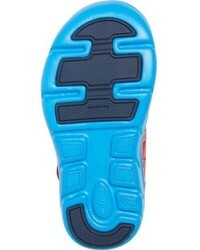 Stride Rite infant boys made2play phibian spiderman sneaker are a smart choice to finish off this style. Suggest that your boy team a brown jacket with olive trousers for a comfortable outfit that's also put together nicely. 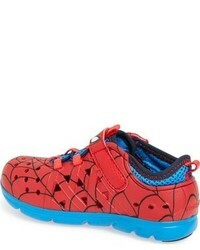 Stride Rite infant boys made2play phibian spiderman sneaker from Nordstrom are a smart choice to finish off this style. A grey cardigan and light blue jeans are a great outfit for your kid when you take him to the local library to play with puzzles or read stories. 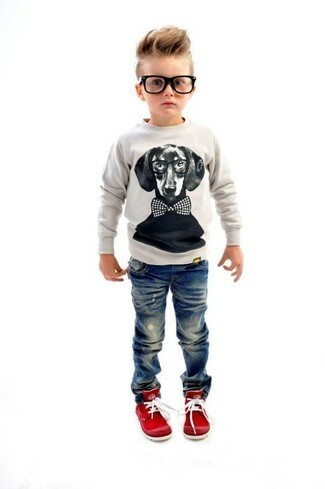 This ensemble is complemented nicely with Stride Rite infant boys made2play phibian spiderman sneaker. Suggest that your son wear a grey bomber jacket with navy jeans for a comfy outfit. 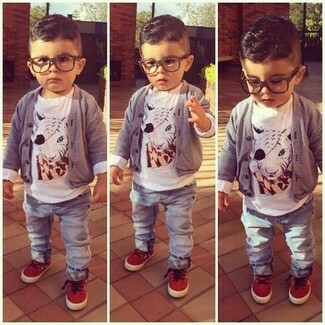 This ensemble is complemented brilliantly with Stride Rite infant boys made2play phibian spiderman sneaker.